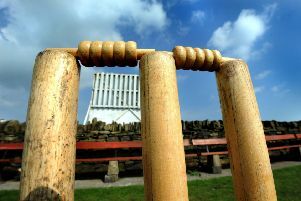 Holders Copley are through to Halifax League’s Twenty/20 final after beating Jer Lane in a thrilling finish today. Needing two off the last delivery to overhaul Jer Lane’s 213, Nick Gomersall cut the ball for four. However, rain was starting to fall as the first of three planned games at Copley was being completed. When the umpires inspected at 3pm it was decided that the second semi-final between Bridgeholme and SBCI and the final would not be able to take place today. Those games will now take place on Sunday, September 6 and it is hoped that Copley will again stage the action in the Heineken UK-sponsored event. Jer Lane had recovered from five for two after the first over to reach 154 for four off 16 with the help of 50 retired from Johnny Lister. Another 59 runs came off the final four overs to leave league leaders Lane firm favourites. However, Copley made a flying start to their reply, helped by a half-century from Freddie Hammond off just 24 balls. Copley were 85 for one in the eighth over when he strode back to the pavilion. Copley were 114 for three at half way and skipper Craig Taylor’s 32-ball 50 kept them on target. However, a lull in the scoring left the home side needing 25 off two overs and 14 off the last. Former Parish Cup-winning skipper Mohammed Seraj hit the first ball for six and the third to the boundary. A single left three needed off two and Gomersall held his nerve to win it for his side off the last.